The market continues to move fast, however, it is slower than it has been in the last six months. Months Supply of Inventory increased to 1.1, the highest level in one year, yet still historically very low. 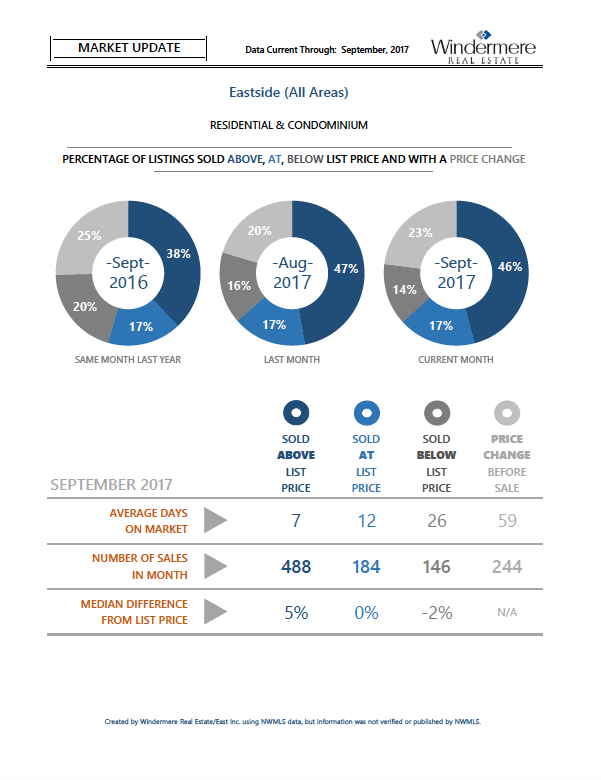 The percentage of closed sales selling for above list price was 46% in September, down from the peak of 63% in June and is at the lowest level since January 2017. More than 1/3 of the homes that were sold were on the market for over 15 days. That is the highest level in six months. Do you like the location you can afford? Are you going to live there a minimum of five years? The stats are in and the sellers market is going strong. 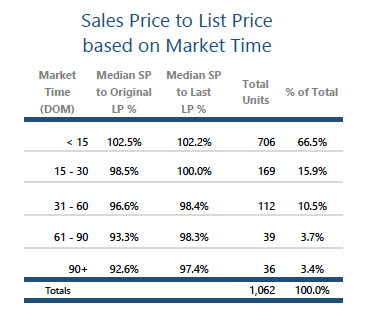 This Q2 market review shows our very hot spring market for Eastside real estate. Activity has slowed a bit this summer, probably due to summer vacations. The numbers will tell us more after Labor Day. Enjoy! Here is the PDF if you would like to download. The broker that represents you as a buyer matters. 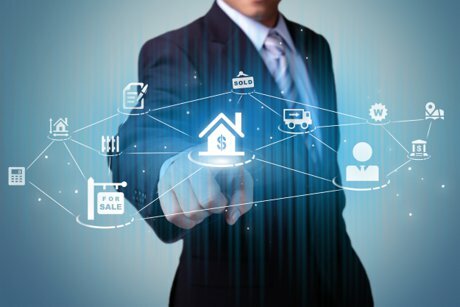 In a multiple offer situation where a listing agent is looking at say, 10 offers from various buyers, they are trying to help their clients assess which one is the best to go with. Usually 2-3 float to the top because the offer prices and terms are the best of the bunch. With competitive offers there are several factors that come into play. Here are a few of most common. Financing- Is there financing or is it cash? Did the buyer waive their appraisal condition? How long is the contingency? Inspection-Did the buyer do a pre-inspection? Did they waive their inspection contingency? Other contingencies- Is the offer contingent on the sale of the buyer's pending property? Did they waive the seller disclosure, title, etc? Is there a rent-back if the seller needs one? Often an important factor is the broker representing the buyer. All other things being equal, the Buyer Broker that has a good reputation and the trust of the Listing Broker will likely get the house. Windermere excels here. 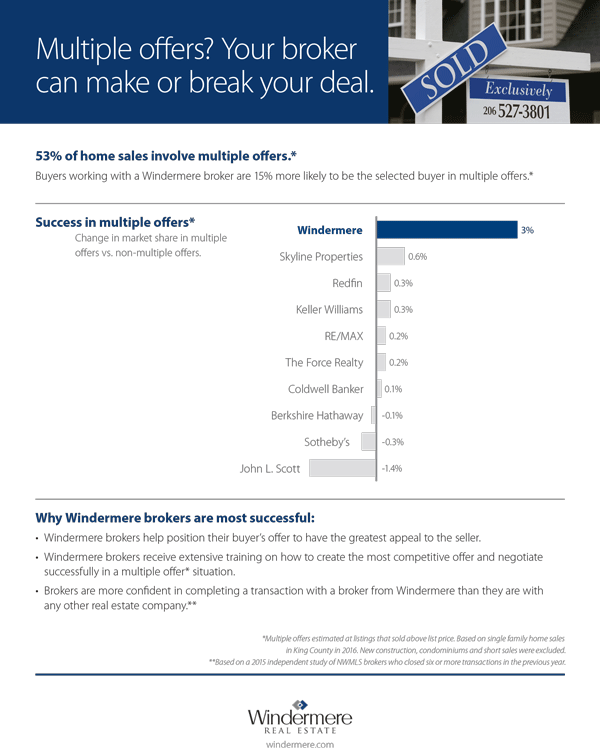 Our market share increases by 3% when we are involved in multiple offers. That means you have a 15% more likely chance of getting the house. So you’ve decided to buy a home. 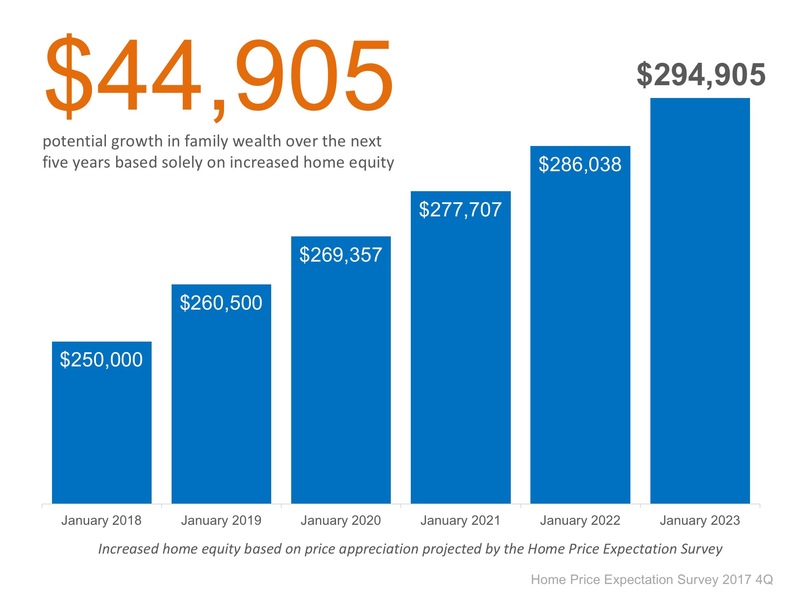 Maybe this is your first or your fifth but either way, being prepared is key to purchasing in this market. The competition is fierce and if you don’t have all your ducks in a row, you are not going to be take seriously buy any seller or listing broker. So what does it take to be ready to roll? This is something you can do with or without your broker. You may know exactly where you want to live or perhaps you are new to the area and need some help narrowing down your choices. In either case your broker will be most helpful. We find that many of our clients pick their neighborhood based on schools and where they work (due to traffic). If schools are important to you we highly recommend using the Office of Superintendent of Public Instruction website-http://reportcard.ospi.k12.wa.us and staying away from websites like Great Schools which we find to be less reliable. 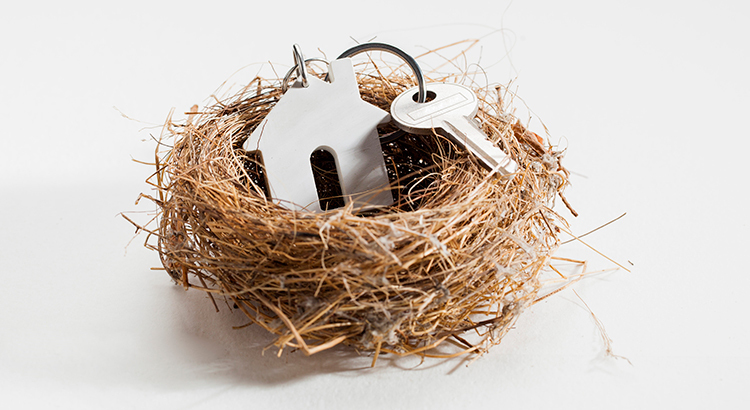 You MUST have a pre-approval letter from a lender before you can write an offer on a house. It should not be a pre-qualification but a full credit approval where your application has gone through underwriting for a full vetting of your income and debts. This enables us to assure a listing agent looking at several offers that there will be no surprises as we go through the financing process. There is nothing worse than being halfway through the escrow period and finding out that something you did on your tax return a year ago affects your ability to buy a home. Our preferred lender, Sheila Bryan of Caliber Home Loans, can get you credit approved and on your way. If you have a lender you have worked with in the past or that a friend has recommended, call them too. It won’t hurt your credit to have 2-3 lenders give you quotes on a loan. Choose wisely though, your lender is part of your team. If your lender can’t follow through, is late getting your docs in or is difficult to work with, it could end up costing you money in the long run. Many of our clients love to go look at open houses on their own and that’s fine, especially in the beginning when you are just feeling things out. When it’s time to get serious however, you need to have a broker in place for a couple of reasons. #1- You should always have your own representation. Your broker works for you and no one else. Many listing agents will write up an offer for a buyer but in most cases, they are still only representing the seller, not you. You want someone on your side to advocate for you, explain the process, the pros and cons of decisions you have to make and then to support you all the way. This is a tricky market and you want someone who knows how to negotiate the offer process and the transaction. #2- Homes move fast in this market and you need someone who can get you in to see a home quickly. Waiting for an open house is often not an option. Also, having your broker go scout the house out ahead of time to see if it fits your criteria or if there are flaws you can't see in the photos (like powerlines, busy streets, etc) can make the process more efficient. Get out there and find that house! With pre-approval in hand, a great broker by your side and a lot of patience and perseverance, you will find a house to buy. In our experience, most buyers go through a learning curve of understanding what has to be done to buy a house. Sometimes you have to lose a few before you win, that the nature of this market, but eventually you will prevail. Good luck and good house hunting! 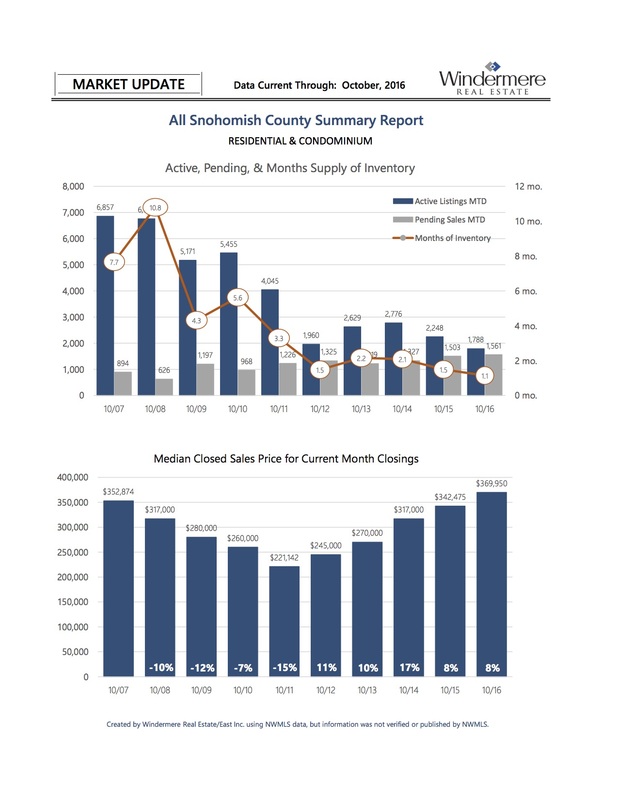 October was a good month overall with 1,137 pending sales on the Eastside. 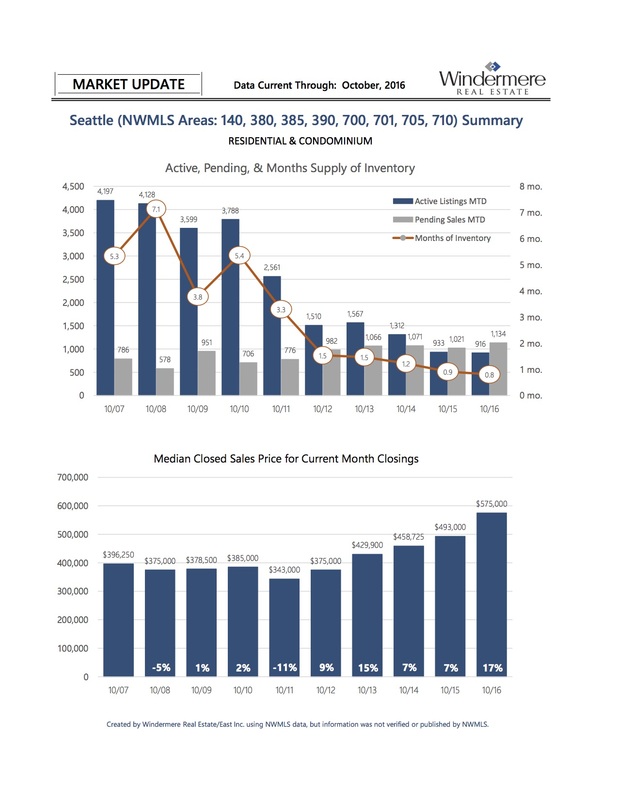 Inventory declined 20% from September and 17% from a year ago. 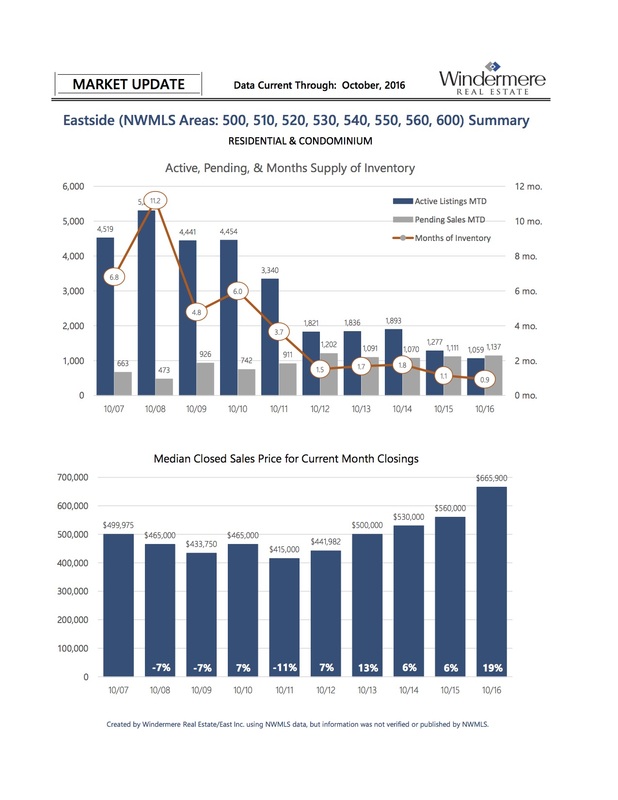 Clearly, this inventory problem is not easing up. Historically, the next four months slow down in number of pending sales. The table below shows pending sales by month as a percentage of an average month with average being 100%. If you are considering selling your home, the first few months of the year will give you the least amount of competition. Buyers are out in droves looking and there isn't much for them to choose from. It's my favorite time to list a house!